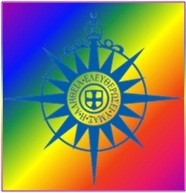 I was (pleasantly) surprised last week when I was speaking to my mother and she asked me if I had heard that the Church of England had given the OK for Gay clergy, not only to be ordained, but to exercise episcopal ministry. I must say while my initial thought was full of doubt I still had the slightest hope in me that what she told me was true and that there had been a breakthrough. Sadly, my doubt was confirmed. In a paper released last Monday the Church of England stated their position on Gay clergy in relation to the Equality Act. The main thrust of the paper is that Gay clergy will be allowed to hold any office in the church, including episcopal, if they are celibate. This paper maintains that there should be no discrimination based on orientation, but that it is the behavior that goes with the orientation that mattered. While this is (arguably) a step in the right direction, one can’t help but feel that this is a final step and not an initial one. This paper effectively says that it is OK to be Gay as long as you don’t act on your inherent, God given sexuality. Not only is this an injustice against our LGBT brothers and sisters, it is a blatant injustice against the love of God. Any couple, heterosexual, homosexual or otherwise will testify to the intimacy, love, transformation and transcendence that occurs when making love. It is quite possibly the most intimate time and space that we share with another human being. It is the human response to love that we should all be able to express irrespective of sexual orientation, so to deny that expression of that intimacy, that love, to anyone is a grave injustice. This paper is falling back on secular law as a scape goat to facilitate and empower a position of prejudice. This paper relies on the law that says marriage is to be between and woman and a man only. So what if a LGBT couple, who are legally married in another country go to minister in England? Will they be able to exercise their sexuality while one of them is also in active ministry? This (using the law to justify prejudice) is a tactic that is all to familiar around the communion. It has even been used here in the Church in Aotearoa- New Zealand and Polynesia. The canons of the church in Aotearoa- New Zealand and Polynesia are clear; a requirement of ordination is Chastity. Chastity in the canons of this province is defined as “the right ordering of sexual relationships.” This statement is also explained in the Standing Resolutions where it says “the right ordering of sexual relationships is within marriage, if single then the person is to remain celibate.” Where does this leave our LGBT whanau? Where does this leave the church? It places our LGBT brothers and sisters in a very unfair position, either remain celibate and respond to your calling to ordained ministry or deny your calling to ordained ministry but live the fullness of who God created you to be. That is an unfair position to say the least, and to say the most, it is oppression of the worst kind. The Church of England has not taken a step forward, all this paper does is rub salt into an already very sore wound and until we, as a church are ready to step out in faith and make a prophetic (as opposed to this pathetic) statement affirming the God given sexuality and sexual nature of all human kind than we are still no closer to fully living out the gospel of Christ, the gospel of love.